Pattern formations in chaotic spatio-temporal systems modelled by coupled chaotic oscillators are investigated. We focus on various symmetry breakings and different kinds of chaos synchronization-desynchronization transitions, which lead to certain types of spontaneous spatial orderings and the emergence of some typical ordered patterns, such as rotating wave patterns with splay phase ordering (orientational symmetry breaking) and partially synchronous standing wave patterns with in-phase ordering (translational symmetry breaking). 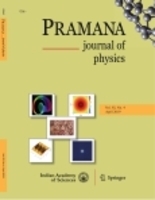 General pictures of the global behaviors of pattern formations and transitions in coupled chaotic oscillators are provided. In this paper, an asymmetric coupled map lattice (CML) combining sawtooth map as a local map is presented and its chaotic behaviours are analysed. Based on this asymmetric CML, a pseudorandom bit generator (PRBG) is proposed. The specific parameters of the system that make complicated floating-point computation and multiplication computation transform into simple shift bit operations are adopted, that not only ensures the nonlinear operations, but also increases the performance efficiency. The PRBG is implemented in software and hardware. The parallel output bit sequences pass all of the NIST SP800-22 statistical tests.